The Infinite 200 PRO is an easy-to-use multimode plate reader family that offers affordable, high performance detection solutions, referenced in more than 1800 peer reviewed publications. Based on this customer experience and feedback, the Infinite 200 PRO microplate plate reader has been continuously engineered for excellence. This proven platform has now evolved into a budget-friendly reader family consisting of six application-focused configurations, delivering performance and value to every lab, every day, for every assay. Dedicated to delivering results for every assay, every day. There are now six application-tailored configurations for the acclaimed and proven Infinite 200 PRO plate reader, including new options such as automated pathlength correction. This allows you to choose the perfect reader for your specific needs and budget with a fast delivery time. As instrument requirements regularly change according to ongoing research needs, each of the six configurations can be upgraded to a full multimode monochromator- and filter-based reader. This ensures your Infinite reader will deliver high quality results for every assay, every day. Are you ready for Infinite delivery of results? Superior performance and free wavelength choice - from ELISAs to low sample volume quantifications. Choose between the unparalleled sensitivity of filters and the ultimate flexibility of monochromators. Optimized for glow-, flash- and multicolor-applications performed in 384-well plates. The Infinite 200 PRO gives you a choice of monochromator- or filter-based optics. Monochromators offer you free wavelength selection and enable spectral scanning in both absorbance and fluorescence modes. Filter-based devices provide increased sensitivity and access to high-end detection technologies, such as TR-FRET and fluorescence polarization. Whichever you choose, you can be assured of high quality results from an affordable package. Despite its compact size, the Infinite 200 PRO is packed with features that set it apart. Its absorbance components are designed to offer superior performance for critical applications, such as A260/280 measurements, in a wide variety of microplates, with easy path length correction via the i-control™ software to improve data quality. The luminescence module is also completely separate from the fluorescence and absorbance optics, ensuring superb performance for glow, flash and dual-color luminescence applications. These are just two examples of how the Infinite 200 PRO is engineered to address every detail and deliver high quality results. Superior performance and free wavelength choice – from ELISAs to low volume quantification of nucleic acids and proteins. The Infinite 200 PRO provides accurate and highly reproducible absorbance measurement capabilities, over a spectral range of 230 to 1000 nm. The absorbance module offers the flexibility to work with high or low volume samples, without compromising on your data quality. Whether you choose filter- or monochromator-based optics, you can be assured that the system is designed to tackle any absorbance assay with ease. The Infinite F200 PRO’s filter-based absorbance module is the economical choice for standard absorbance applications, such as ELISAs and protein quantification assays (eg. BCA). A selection of application-specific absorbance filters are available, and the instrument’s filter slide allows you to load four absorbance filters at a time. Wavelength accuracy and precision are essential for an accurate and error-free nucleic acid quantification and purity checks (eg. A260/280 measurements). The Quad4 Monochromators of the Infinite M200 PRO offer industry-leading 260 nm wavelength accuracy (typically <0.5 %) and precision (typically <0.2 %) and, together with the NanoQuant Plate, provide a typical dsDNA detection limit of ≤1 ng/µl with an A260/280 ratio of over 1.8. The patented NanoQuant Plate was the first tool specifically developed for absorbance-based, small volume nucleic acid analyses in a multimode reader. It is useful for a broad range of applications, such as DNA or RNA quantification, nucleic acid purity assessment and labeling efficiency determination. The NanoQuant Plate can simultaneously measure up to 16 samples, with sample volumes of as little as 2 µl. Quartz micro-spots are shaped to function as individual lenses, guaranteeing the best possible light transmission through each sample. Closing the plate lid effectively creates 16 quartz micro-cuvettes with a fixed path length of 0.5 mm – perfect for 230, 260 and 280 nm measurements. Samples can be easily applied using single or eight-channel pipettes, and each micro-spot can be quickly and easily cleaned to minimize the risk of cross-contamination. For convenience and optimal data quality, the NanoQuant Plate is the only low volume plate on the market that is 100 % calibration free, maintaining reliable performance while minimizing demands on your time. This innovative tool is truly a prerequisite for sensitive, reliable and easy DNA/RNA quantification in your laboratory. The system’s i-control software offers a preconfigured ‘one-click’ method for nucleic acid quantification, giving you quick, easy and reliable results at the touch of a button. Unique ways to improve absorbance results and functionality. Well-to-well variations in path length can be a major issue for absorbance measurements in microplates, so i-control offers easy path length correction, giving you full control for comparable readouts every time. For larger sample volumes, the Infinite 200 PRO’s integrated cuvette port allows highly accurate and precise absorbance measurements, eliminating the need for a standalone cuvette spectrophotometer. Siloam Biosciences’ OptiMax microplate (based on the Optimiser technology platform) offers rapid, sensitive and specific chemifluorescence-based ELISA procedures using exceedingly small sample volumes. The speed, sensitivity and small sample requirements are achieved as a result of the unique microfluidic design of the Optimiser technology. In this note we describe the use of Tecan’s Infinite F200 PRO and Infinite M200 PRO instruments for easy and sensitive protein quantification using different absorbance-based assays. This application note describes the detection of S. aureus growth using Tecan’s Infinite 200 PRO microplate reader to perform 600 nm absorbance measurements. 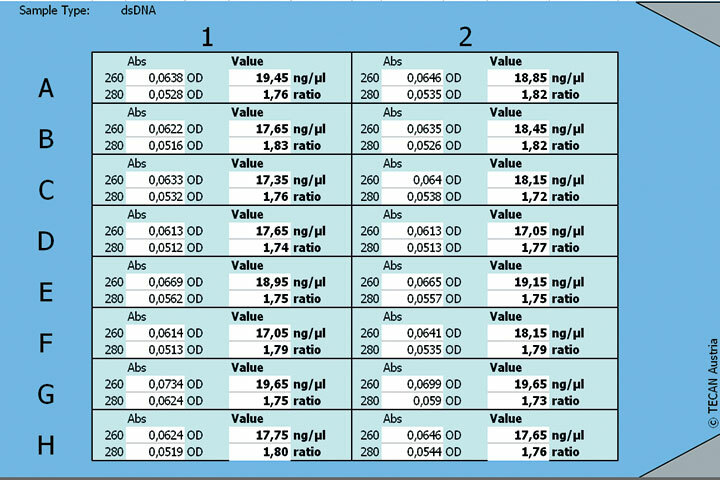 The influence of assay parameter and instrument settings on data quality is discussed. The NanoQuant Plate from Tecan allows researchers to measure the concentration and purity of nucleic acids of up to 16 samples simultaneously. Additionally, the efficiency of the nucleic acid labeling with dyes can be easily determined with this tool. The isolation of adult stem cells results in very low amounts of cells due to their rare incidence in already formed tissues and organs. Here we describe the preparation and evaluation of RNA samples from a novel population of mouse keratinocyte stem cells marked by Lgr5+ expression. We used tools specifically designed for handling and measuring low RNA quantities including RNA purification and the subsequent quantification with the Infinite M200 PRO. Tecan´s NanoQuant detection technology has been developed to facilitate the quantification of biomolecules in small-volume samples. The present note describes the implementation of the NanoQuant Plate for protein measurements with regard to essential assay parameters such as linearity, uniformity, and reproducibility. One of the most used methods for determining nucleic acid concentrations is based on measuring the optical density of a sample at 260 nm (OD260). According to the Lambert-Beer law, the amount of absorbed light is proportional to the concentration of the sample, and to the pathlength the light has to pass through when going through the sample. Unparalleled sensitivity or ultimate flexibility – the choice is yours. Fluorescence signal detection in microplates is at the heart of life sciences research. The Infinite 200 PRO is available with filter- or monochromator-based optics, enabling sensitive and flexible, top or bottom reading fluorescence measurements. Filters provide sensitivity and access to advanced detection technologies – such as TR-FRET, HTRF® and FP – whereas monochromators offer you free wavelength selection between 280 and 850 nm, plus spectral scanning (excitation and emission) for fluorescent dyes. No matter the optical choice, you still get great performance in a proven instrument, helping to drive your research forward. For a proven fluorescence top and bottom performance the Infinite 200 PRO supports all black microplates of the Tecan microplate portfolio. 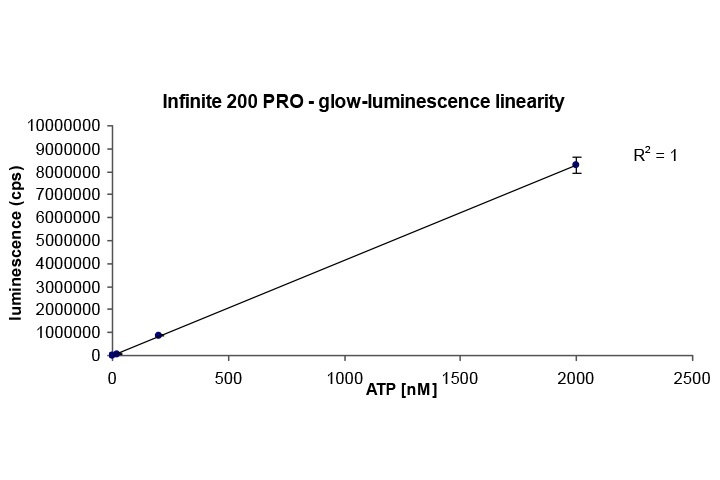 The Infinite F200 PRO’s filter-based fluorescence optics represent an affordable solution for both basic assays and advanced screening applications, such as FP, HTRF and TR-FRET. The reader’s filter slides incorporate an ID chip that allows filter definitions to be saved directly on the slides. This makes filter slide handling very convenient, as the system will automatically recognize the filters installed on each slide. Standard applications, such as fluorescence-based DNA/RNA quantification assays, can be performed in both microplates and Tecan’s low volume NanoQuant Plate. A dedicated bottom reading optical fiber offers improved performance and additional functionality for cell-based assays. The filter optics for top reading fluorescence measurements include a dichroic mirror which dramatically improves the limit of detection (LOD) for dyes that are excited below and emit light above 510 nm. This ensures a typical LOD of just 85 amol/well (384-well plate, 100 µl) for measurements, allowing you to perform advanced screening assays. The Infinite F200 PRO’s top reading fluorescence optics are certified for HTRF, and offer especially good performance in white, low volume 384-well plates. This set-up offers very good value compared to high-end HTRF readers, giving you 384-well plate throughput at a fraction of the cost. The ability to choose any wavelength at any time allows you to run almost any fluorescence-based assay with just a couple of clicks – that is the true advantage of the system’s Quad4 Monochromators. This set-up also gives you the unique ability to characterize the fluorescent properties of dyes and compounds by conducting spectral scans. Pairing these features with a dedicated bottom reading optical fiber for cell-based assays gives you greater flexibility for virtually any fluorescence application. Automatic adjustment of z-focusing for top reading fluorescence measurements makes it easy to miniaturize your assays on the Infinite M200 PRO. This ensures high sensitivity for all plate formats, offering you near-identical performance in up to 384-well low volume plates. This feature is complemented by integrated background correction, providing automatic optimization of the signal-to-noise ratio for every assay. Quad4 Monochromators technology enables highly sensitive scanning of fluorescent signals. Both excitation and emissions scans can be easily set up in the system’s i-control software, allowing rapid assay optimization. This ensures that you can always produce the best possible signal acquisition for your fluorescence assays. This note describes the implementation of the Infinite 200 PRO multimode reader and the associated NanoQuant Plate for fluorescence-based DNA quantification in small volume samples using Pico Green®, an ultra-sensitive fluorescent dye for the quantitation of double-stranded DNA. This application note describes the use of the Infinite® F200 PRO in combination with a commercially available ORAC assay kit, using different beverages as antioxidant samples. 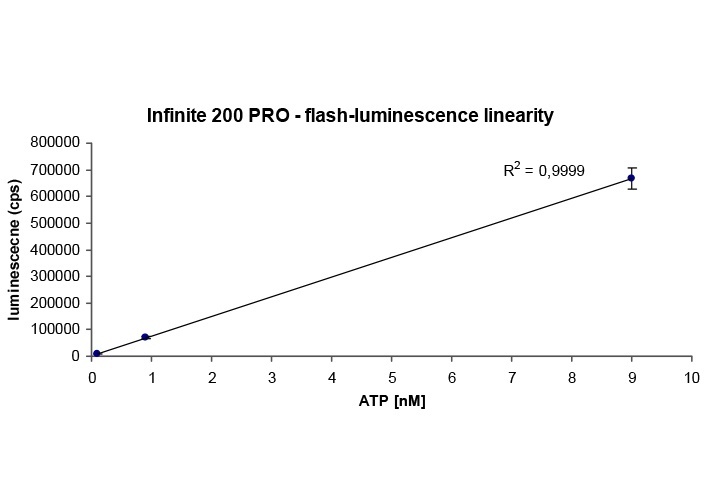 The present application note summarizes the results of experiments with the HTRF (Homogeneous Time-Resolved Fluorescence, Cisbio Bioassays) technology on Infinite F200 PRO. This technical note describes the successful implementation of the Transcreener Fluorescence Intensity Assay on Tecan’s quad-4 monochromator-based Infinite M200 PRO and Tecan’s filter-based Infinite F200 PRO multimode reader. The Transcreener ADP2 TR-FRET Red Assay is intended for the detection of ADP production by any kinase or ATPase, and has been developed specifically for high throughput screening applications. The assay is based on the competitive binding of ADP to a monoclonal antibody-terbium conjugate, and uses a homogeneous TR-FRET detection mechanism. This Technical Note describes the successful implementation of Invitrogen’s LanthaScreen TR-FRET assay system on Tecan’s Infinite F200 PRO filter-based multimodular detection system. The Infinite F200 has performed according to Invitrogen’s LanthaScreen certification program criteria and was successfully validated by Invitrogen as “LanthaScreen® Certified”. This note describes the use of the fluorescence microplate reader Tecan Infinite F200 PRO or M200 PRO, for detection of as lias 20 pg dsDNA in a 200 μl assay volume. 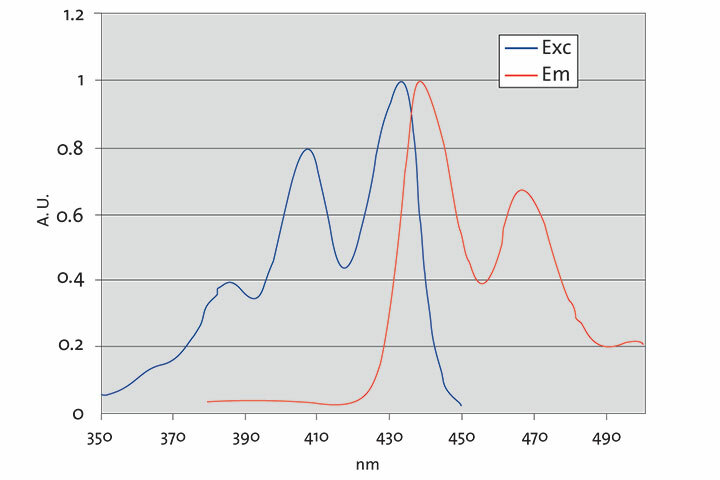 This Technical Note describes the relevant instrument parameters to acquire optimal fluorescence excitation and emission spectra on the Infinite M200 PRO. In this Application Note the three assay systems introduced above (i.e. MTT assay, CellTiter96 AQueous One Solution Cell Proliferation assay (MTS) and CellTiter-Blue Cell Viability Assay (resazurin) are compared using the human cholangiocarcinoma cell line CCLP-1. The compatibility of these assay systems with Tecan´s Infinite M200 PRO Quad4 Monochromators-based multimode reader is demonstrated. The Infinite 200 PRO is adept at producing high quality luminescence measurements for glow, flash and dual-color applications. It features an optical fiber optimized for up to 384-well plates, plus optional 384-well injection capabilities, delivering great sensitivity and a large dynamic signal range for your assays. Engineered to deliver an industry-leading dynamic range and to allow you to use higher density plate formats, this sophisticated luminescence module can replace a standalone luminometer, saving you time and money. For a proven luminescence performance the Infinite 200 PRO supports all white microplates of the Tecan microplate portfolio. The luminescence optics in Tecan readers are based on a unique concept; an optical density filter in the module’s filter-wheel attenuates strong signals by a factor of up to 100, but only if you really need it. Combined with a dedicated photomultiplier tube (PMT) set up for single photon counting, this eliminates the conflict between sensitivity and dynamic range commonly associated with instruments that use a single PMT for fluorescence and luminescence measurements. This unique optical combination gives you superior sensitivity for glow luminescence measurements (typically ~225 amol/well ATP), and an industry-leading dynamic range of 108. For most glow luminescence-based assays (such as ATP quantification, chemiluminescent ELISAs, reporter assays, etc.) it is beneficial to miniaturize the assay, as the signal strength is not directly related to the sample. Moving to higher density plate formats therefore saves you time and money. The Infinite 200 PRO uses a luminescence fiber optimized for 384-well plates, guaranteeing minimum signal cross-talk between wells, a critical factor when working in higher density plate formats. The Te-Inject is the optional injector module for the Infinite 200 PRO, and offers automatic 384-channel injections with both injectors. This enables highly sensitive ATP quantification assays, such as the ENLITEN® ATP assays, as well as high throughput cell-based reporter assays. The optical design of the luminescence module guides light through a filter wheel equipped with both color and attenuation filters, which is then detected by a dedicated PMT. The attenuation filter allows the PMT to operate in its most sensitive mode while still providing maximum performance for both weak and strong signals. Combined with the Te-Inject, this ensures a very low LOD (typically 12 amol/well ATP) in a 384-well plate (ENLITEN ATP assays, Promega). Thanks to its dual-channel injector module, the Infinite 200 PRO is one of the few DLReady™ readers on the market, meaning it is certified for Promega’s Dual Luciferase Reporter® assays. This technology requires the injection of two different solutions into the same well of a 384-well plate – a technical requirement not supported by most readers. The Infinite 200 PRO’s luminescence filter wheel is equipped with four color filters, allowing you to perform sensitive dual-color luminescence applications such as NanoBRET™, BRET2™, ChromaGlo™ and others. The Infinite 200 PRO is also equipped with dedicated NanoBRET filters, tested and validated at Promega. 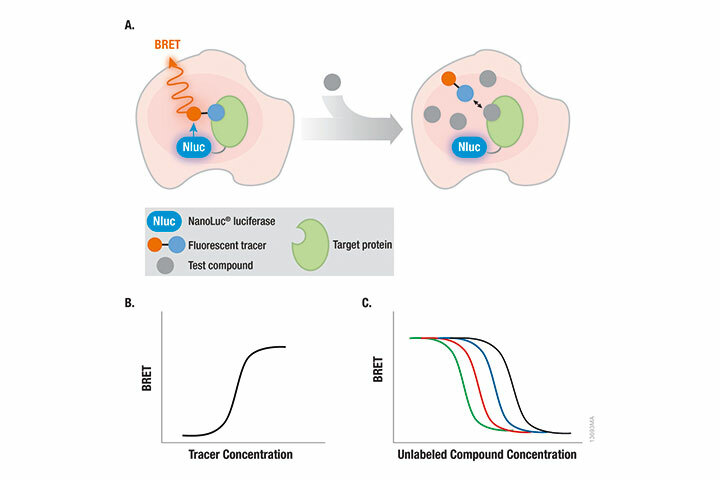 This technology allows you to study protein-protein interactions using NanoLuc® Luciferase as the BRET donor and HaloTag® protein (labeled with the NanoBRET 618 fluorophore) as the acceptor. This assay format is designed to offer improved spectral overlap, increased signal strength and lower background signals compared to conventional BRET assays, providing you with a reproducible method for monitoring and screening protein interactions in live cells. This Technical Note describes optimized test set-ups, instrument settings and the statistical equations that were used to determine the maximum instrument sensitivity of the Infinite F200 PRO filter-based microplate reader and the Infinite M200 PRO Quad4 Monochromators-based microplate reader for flash and glow luminescence. The BacTiter-Glo Microbial Cell Viability Assay was tested on the Infinite F200 PRO filter-based multimode reader, using the instrument’s highly sensitive luminescence module. This note describes the Dual Luciferase Reporter Assay performance using Tecan’s Infinite 200 PRO multimode reader equipped with a two channel injector. Dynamic interactions between proteins are key mediators of multiple cellular functions and are involved in almost all biological processes. Accordingly, they are valuable targets for the development of novel drug therapies. In this context, bioluminescence resonance energy transfer (BRET), developed by Promega, is a well-established detection technology for the investigation of protein-protein interactions in living cells. However, its application has so far been somewhat hampered by its limited dynamic range and sensitivity. The Infinite 200 PRO plate reader family is supplied with the easy-to-use i-control software interface, allowing you quickly define a workflow for each of your applications. i-control allows you to create a workflow for each application, using ‘drag and drop’ processing steps to generate your assay protocol, which can be saved for future use. The software includes special applications for quick and easy DNA/RNA quantification and labeling efficiency determination, reducing the need for user input. Direct export to Excel for convenient data reduction. All your data can be automatically exported to Windows®-compatible formats, such as Excel, making data reduction easy and convenient. The instrument automatically records all well-specific data, reader settings and additional information, such as time stamps or temperatures, ensuring you have a complete picture. Detection of very low signals. Automatic adjustment of gain settings during a measurement means you never have to compromise on sensitivity, allowing the detection of very low signals. i-control takes care of everything, correlating and displaying all of your results in one single data set. Significantly improve the quality of your results with enhanced sensitivity in top reading fluorescence intensity mode. Automatic z-focus adjustment determines the focal point for the best signal-to-blank ratio in each microplate well, regardless of the plate type, well shape or sample volume. This unique feature makes it easy to set up your reader for optimum performance with varying assay parameters. Get more from your microplate reader with Magellan, the universal reader control and data analysis software from Tecan. Magellan supports the complete range of Tecan microplate readers, enabling quick and easy measurement of samples for first-time and expert users alike. A versatile user interface and powerful data reduction capabilities enable the optimization of sophisticated experimental work, making routine tasks easy. Optional reagent injectors give you valuable dispensing capabilities for any assay, unlocking new applications and workflows in your lab. Injectors are critical for many assays, most notably flash luminescence and calcium flux assays (Fura-2, Fluo-4, etc.). The ability to inject and immediately start measuring is crucial for collecting accurate data. The Infinite 200 PRO’s Te-Inject module comes with a 1 ml syringe, and can be equipped with one or two channels. 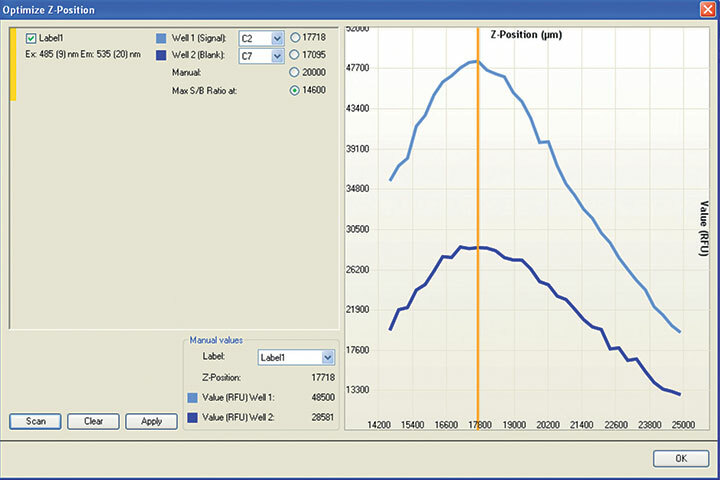 The software allows you to easily select an injection volume in 1 µl increments, with a dead volume of just 100 µl. This device allows parallel quantification and analysis of up to 16 nucleic acid or protein samples, in sample volumes as little as 2 µl. For convenience and optimal data quality, the NanoQuant Plate is the only low volume plate on the market that is 100 % calibration free. This saves time and gives you consistent and reliable performance. In addition to standard absorbance measurements, the NanoQuant Plate is compatible with top reading fluorescence measurements (eg. for PicoGreen® or RiboGreen® assays), improving your DNA/RNA detection limits. Tecan Microplates for absorbance, fluorescence and luminescence measurements as well as cell imaging in SBS format. 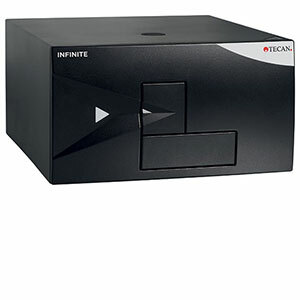 Tecan readers and washers are designed to be compatible with ANSI/SLAS (SBS) format. Black and white biochemical assay plates designed for fluorescence and luminescence measurement assays. Low auto phosphorescence of white plates for good quality data and reduced pre-measurement incubation, and a unique combination of black plates with black lids for using SPARK lid lifting system for uninterrupted assays. A collection of tissue-culture (TC) treated, sterile cell culture plates with individual lids for confluence and bottom-fluorescence measurements of cell-based applications. Performance assured with minimum background signal. The Connect is a versatile microplate stacker designed to allow walkaway batch processing of up to 50 plates per run. Gain a new level of confidence in your laboratory equipment with this accurate, cost-effective and near-effortless solution. The MultiCheck QC package is designed to enable rapid functional checks for Tecan multimode readers, and supports all major reading modes, including FI, TRF, FP, absorbance and luminescence. It consists of the MultiCheck software package and an advanced QC plate, with IQOQ documentation also available for the Infinite 200 PRO. For higher sample volumes, an integrated cuvette port in the Infinite 200 PRO allows highly accurate and precise absorbance measurements of samples, eliminating the need for a stand alone cuvette spectrophotometer. The Infinite® 200 Pro F Plex blends together sensitivity with a broadest range of read modes to give you an ideal low-cost solution for advanced.. The Infinite® 200 Pro F Plex blends together sensitivity with a broadest range of read modes to give you an ideal low-cost solution for advanced assays, including HTRF and Fluorescence Polarization. Utilizing filter based optics this system delivers absorbance and fluorescence detection modes, while also using a separate module to support luminescence, making it great fit for labs looking for sensitivity and value in one package. The Infinite 200 Pro F Plex can handle up to 384-well plates and offers upgradeability to additional read-modes or the addition of a NanoQuant plate or cuvette port to give you additional functionality. Each instrument comes with the easy to use i-Control software for helping you define workflows that fit your application. If you require additional data analysis software you can purchase Magellan, separately, for enhanced quantitative and qualitative analysis. Instrument includes an operating manual and power cord. The Infinite® 200 Pro M Nano+ offers the versatility of absorbance and fluorescence detection modes in an affordable package. Utilizing monochromator.. The Infinite® 200 Pro M Nano+ offers the versatility of absorbance and fluorescence detection modes in an affordable package. 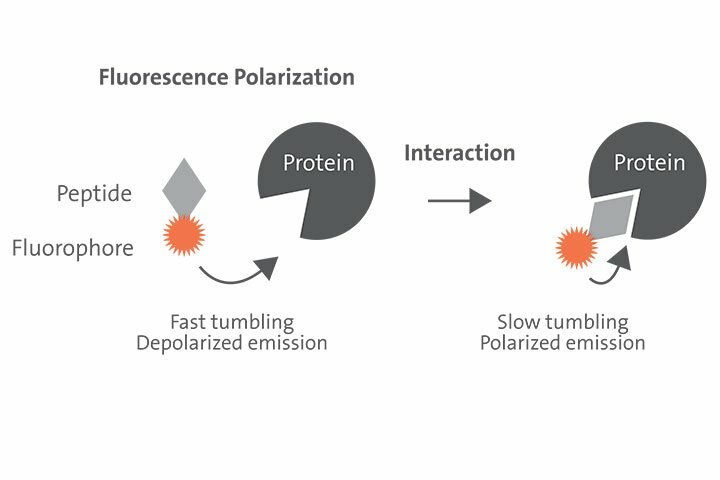 Utilizing monochromator based optics this system delivers dual-mode absorbance and fluorescence detection modes ideal for a variety of applications including genomics workflows. The Infinite 200 Pro M Nano+ can handle up to 384-well plates and offers upgradeability to additional read-modes or the addition of a NanoQuant plate or cuvette port to give you additional functionality. Each instrument comes with the easy to use i-Control software for helping you define workflows that fit your application. If you require additional data analysis software you can purchase Magellan software, separately, for enhanced quantitative and qualitative analysis. Instrument includes an operating manual and power cord. 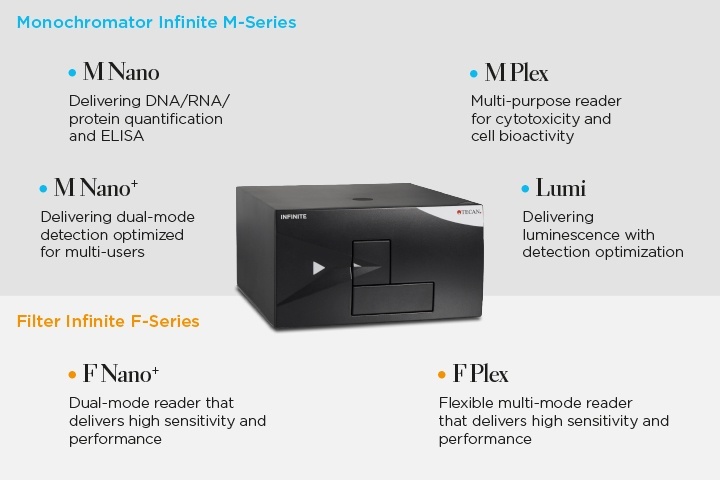 The Infinite® 200 Pro M Nano is an ideal microplate reader for delivering DNA/RNA/protein quantification and ELISA in a powerful compact footprint. Utilizing monochromator based optics this plate reader delivers sensitive results for many absorbance assays, such as ELISAs and low volume nucleic acid and protein quantification assays. The Infinite 200 Pro M Nano can handle up to 384-well plates and offers upgradeability to additional read-modes, or the addition of a NanoQuant plate, or a cuvette port to give you additional functionality. Each instrument comes with the easy to use i-Control software for helping you define workflows that fit your application. If you require additional data analysis software you can purchase Magellan, separately, for enhanced quantitative and qualitative analysis. Instrument includes an operating manual and a power cord. The Infinite® 200 Pro M Plex offers you a fully loaded multi-mode plate reader that will be the future workhorse of your laboratory. Utilizing.. The Infinite® 200 Pro M Plex offers you a fully loaded multi-mode plate reader that will be the future workhorse of your laboratory. Utilizing monochromator based optics this system is ready-to-go for all standard absorbance, fluorescence, and luminescence assays giving you the flexibility needed to support your research now and in the future. The Infinite 200 Pro M Plex can handle up to 384-well plates and offers upgradeability to additional features like injectors or the addition of a NanoQuant plate to give you additional functionality. The Infinite® 200 Pro F Nano+ offers cost-effective absorbance and fluorescence detection modes in a reader designed to meet your highest demands for.. The Infinite® 200 Pro F Nano+ offers cost-effective absorbance and fluorescence detection modes in a reader designed to meet your highest demands for sensitivity. Utilizing filter based optics this system delivers dual-mode absorbance and fluorescence detection modes ideal for a variety of applications including genomics workflows. The Infinite 200 Pro F Nano+ can handle up to 384-well plates and offers upgradeability to additional read-modes or the addition of a NanoQuant plate or cuvette port to give you additional functionality. The Infinite® 200 Pro Lumi is an affordable, high performance luminescence microplate reader designed for any lab. Dedicated luminescence optics make.. 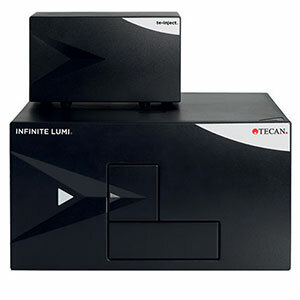 The Infinite® 200 Pro Lumi is an affordable, high performance luminescence microplate reader designed for any lab. Dedicated luminescence optics make this reader the ideal choice for glow, flash, and dual-color luminescence applications. The Infinite 200 Pro Lumi can handle up to 384-well plates and offers upgradeability to additional read-modes or the addition of injectors as your laboratory needs change. Each instrument comes with the easy to use i-Control software for helping you define workflows that fit your application. If you require additional data analysis software you can purchase Magellan, separately, for enhanced quantitative and qualitative analysis. Instrument includes an operating manual and power cord. The latest Spark multimode microplate reader – your daily research partner. Designed to provide optimized washing of cells, beads and ELISAs. A versatile microplate absorbance reader for 96-well plates. Innovatively designed, next generation, 8-channel absorbance plate readers.